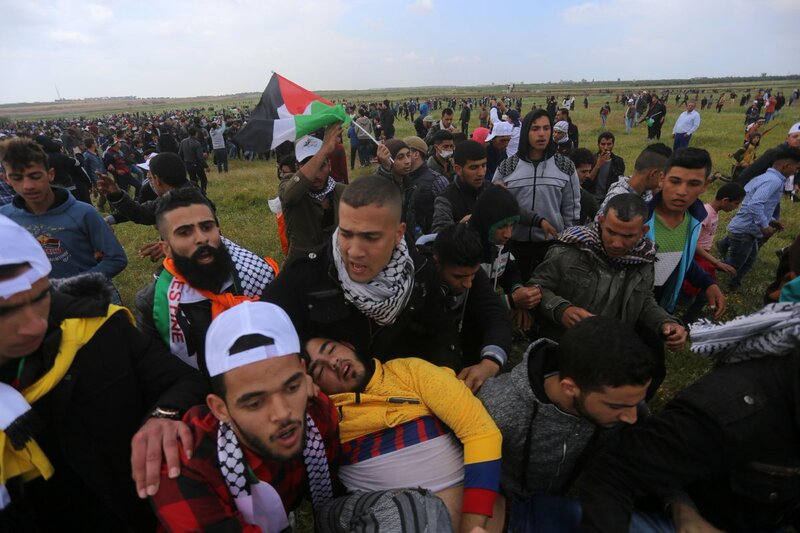 Today (April 5) Palestinians prepare for a second Friday of mass demonstrations in what Palestinians are calling the “Great March of Return”. A total of 22 Palestinians have died on Gaza’s border since the protests were launched – 17 were shot by Israeli soldiers on Friday, two others killed in shelling, and two more have died since last Friday, including one killed in an air strike early on Thursday. Many hundreds have been shot and seriously injured. The UK government remains silent, refusing to condemn Israel’s aggression. Once again, Israel massacres Palestinians with impunity. The Israeli defence minister, Avigdor Lieberman, said on Thursday that “open-fire rules for the Gaza border will remain unchanged”. “If there are provocations, there will be a reaction of the harshest kind like last week,” Lieberman, a Moldovan-born Israeli, told public radio. Organisers of the protests have set up a tent city with media posts, portable toilets, electricity and water supplies, and shaded areas for crowds in five locations near the border fence that separates Israel from the Gaza Strip. Protests are planned on Saturday (April 6th) in London and in Brighton. Click here for details of the London protests. In Brighton, we’ll be at the Clock Tower from 12-2pm to raise awareness about the crisis, and to call on local people to write to the Foreign Office to demand action by the UK government.